"Computer platform Gottlieb System 80A" has been added to your cart. 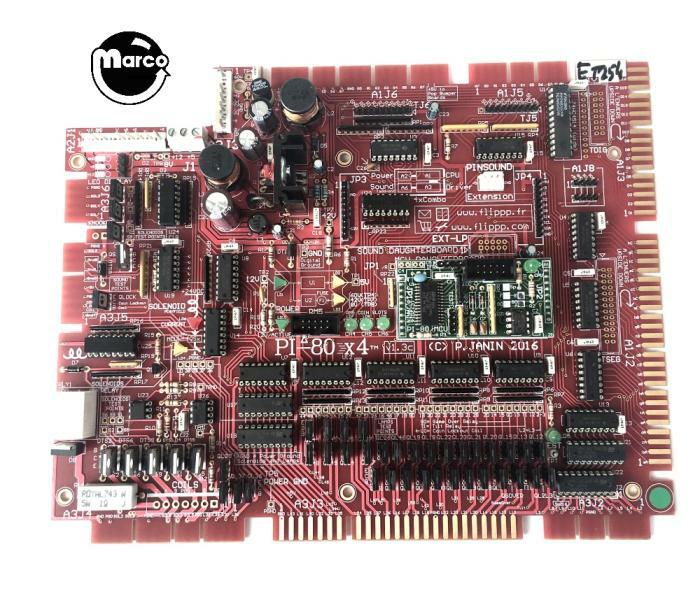 The PI-80X4 All-in-One System-80A combo board combines the CPU board, the power supply and the driver board into a single, reliable unit with greatly improved features and expansion slot for a future PI-FX/80 sound board accessory. This current model uses your original sound board and its specific power supply if applicable (read below). The software has been rewritten and embeds many of the great new features from the FLIPPP PI-1 and PI-1X4 System 1 boards. Plug and play installation takes about 5 minutes with common hand tools. New features: chance ball, multiple extra balls, special that can give points, difficulty levels, scores up to 100M (System-80A), etc..
Lower power consumption and heat dissipation (double switching power supply stage) for great reliability. 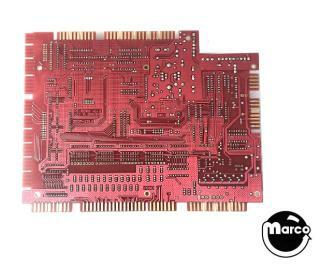 Eliminates original wire harness inter-board connections to power supply, CPU and driver and problems associated problems.